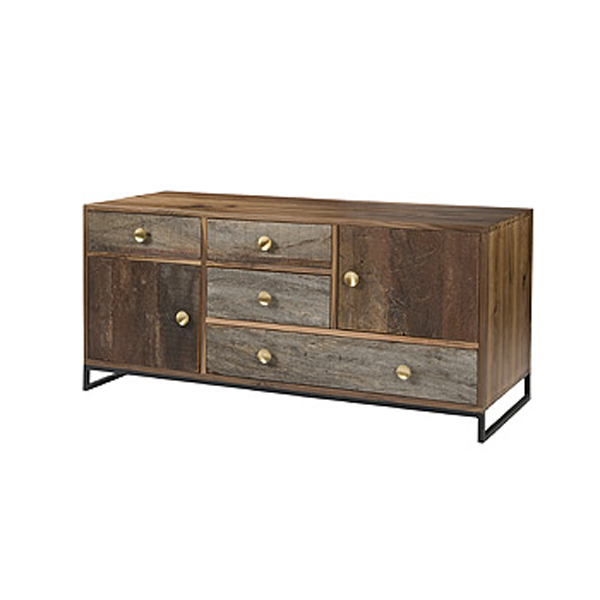 Handcrafted from exotic demolition hardwoods, our Bailey Dresser is unique from each other. 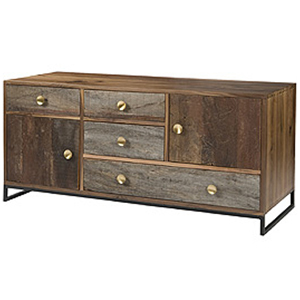 Its lovely walnut finish gives it a lovely two-toned appeal, while its white oak drawer fronts offer a gorgeous contrast to the rest of the dresser. With 2 large cabinets on either side with a Z-shaped design of 5 drawers, this dresser offers tons of storage space! Its unqiue drawer knobs gives it that modern appeal that is further enhanced by its two long legs that give the dresser a floating effect.